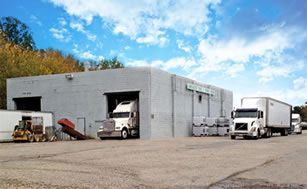 Lancaster Tank & Truck Wash is located at 798 Flory Mill Road Lancaster, PA 1 mile West from I-283/Rt 30 junction. We are a private company specializing in interior tank cleaning. Our business has been cleaning tanks since 1987. With food grade and non-food grade bays, our standards meet and exceed industry standards. If you are a company driver or owner operator and looking to have the interior of your tank professionally cleaned, stop by our environmentally safe wash facility today. Lancaster Tank & Truck Wash will have your tanker or trailer back on the road with minimal turn around time. Click here for driving directions.